Lincoln, Neb. 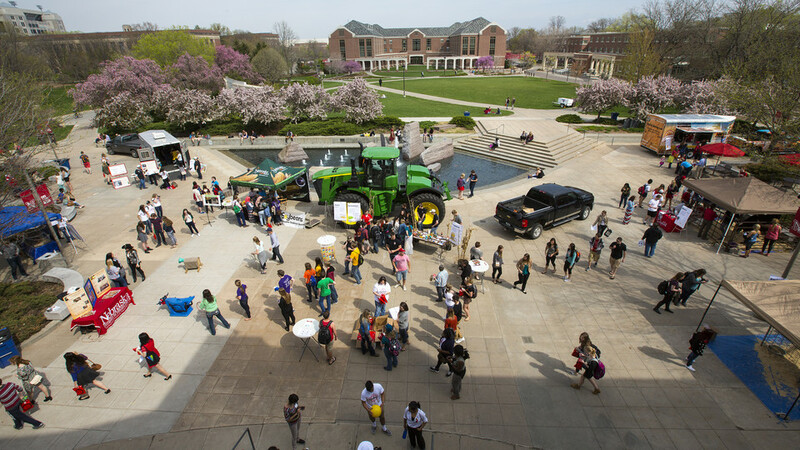 — Husker Food Connection will be held 9 a.m. – 3 p.m April 17 at the Nebraska Union Plaza on the University of Nebraska–Lincoln’s City Campus. Husker Food Connection is designed to help students develop a better understanding of agriculture and how their food is produced in a fun and inviting environment. The theme for this year’s event is “Connecting with the Consumers,” which is aimed at educating consumers about the two percent of people producing safe food products. “Students who attend will leave with a full stomach, satisfied answers on where and how their food is produced, and a warm heart for the families and agriculturalists that do so much for feeding our local communities, state, country and world,” said event coordinator David Schuler. Schuler is a senior animal science major from Bridgeport, Neb. The event will feature equipment displays, livestock, commodity organization booths and a free meal from Skeeter Barnes. Husker Food Connection was started by A-Fan (Alliance for the Future of Agriculture in Nebraska) and is being brought back this year by agricultural based clubs that are passionate about sharing their story. “With the disconnect between East and City campus, this is the perfect environment to represent what the agriculture community will be facing in the future with more and more of the population curious of where their food comes from,” said Schuler. Schuler said the event is designed for students on City Campus who are generations removed from the farm, but have a curiosity on where and how their food is produced. They can learn about plant agriculture and the efforts to safely help feed the world. Participating clubs and organizations include A-Fan, Collegiate Farm Bureau, Black and Brindle, Alpha Gamma Rho, Sigma Alpha, Tractor Restoration Club, Wheat board, Nebraska Cattlemen, Corn board, Nebraska State Dairy association and more.